Additionally, qBittorrent runs and provides the same features on all major platforms (FreeBSD, Linux, macOS, OS/2, Windows). 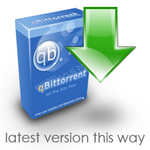 qBittorrent is developed by volunteers in their spare time. If you want to help in translating qBittorrent, see these instructions.